A number of youth suicides that have shaken North Battleford, Sask. were top of mind at a walk to raise awareness about mental health in the community last week. School counsellor Melissa Fuhr says a spate of youth suicides earlier this year hit teenagers in North Battleford like "shell shock." Now, she says, they're settling into a "different normal." "They definitely were affected and very sad and very, just really taken aback but they bounced back," said Fuhr, who works with students at the John Paull II Collegiate high school. "They still care about each other and they're managing really well." 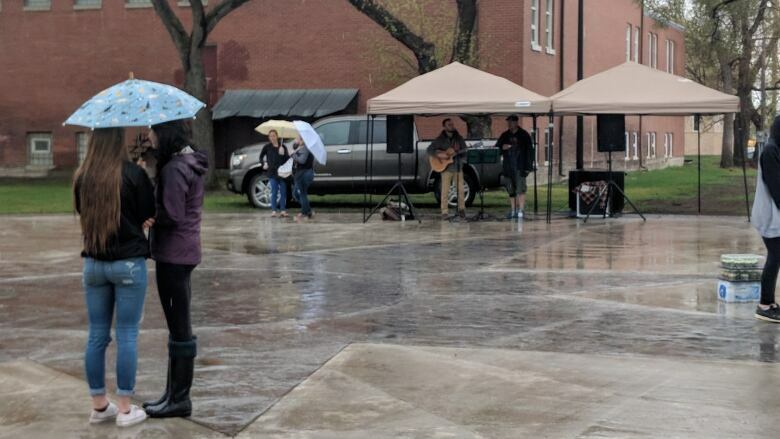 Fuhr and a group of 20 high school students were part of a crowd that huddled under umbrellas to shelter from the drizzle that settled over North Battleford last Tuesday. 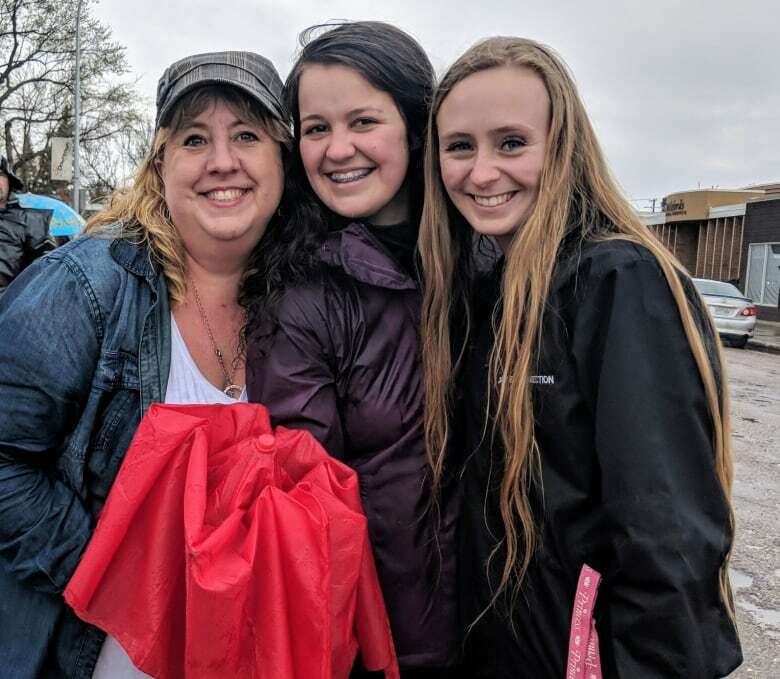 The group was taking part in the annual Walk for Awareness, which started many years ago to recognize residents of a local psychiatric hospital who were ready to transition into their own homes. 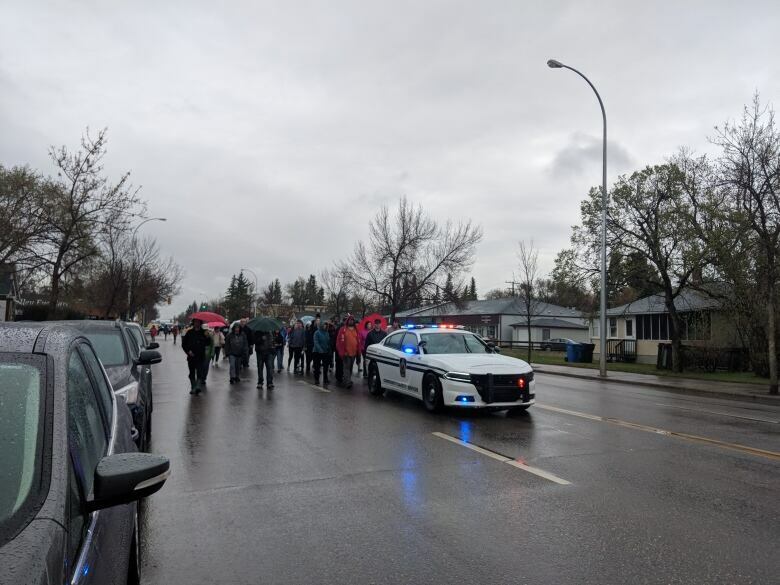 The event has since evolved into a general walk to raise awareness about mental health, and that mission has intensified after a series of tragedies since the start of 2018. Three young people took their own lives in the span of a month ending at some point in January. A school leader reports another two suicides have occurred since January. The first spate of deaths sparked a community response and the creation of Better Together, a new youth support group focused on mental health. The group comprises youth and faith groups, schools, sporting groups and the provincial ministries of social services and corrections and policing. 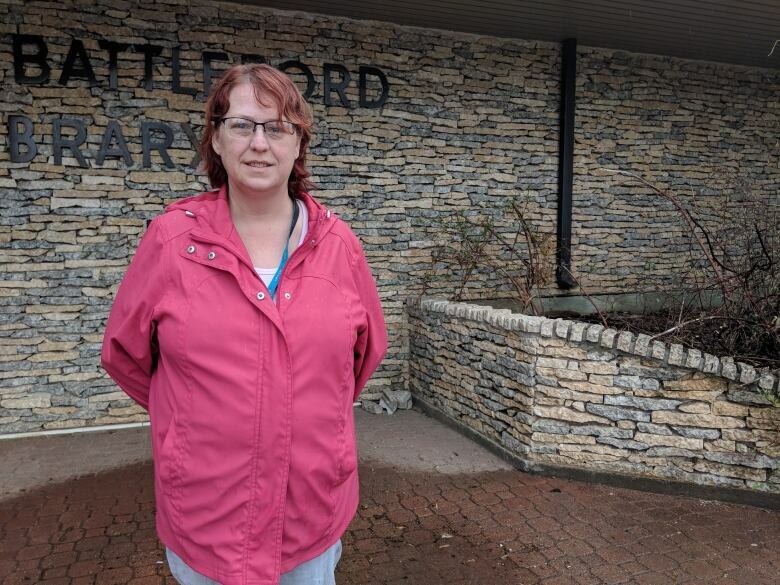 About 300 people attended a community meeting in January and social workers say the tragedies have led to a shift in attitudes toward mental health in North Battleford, which is about 130 kilometres northwest of Saskatoon. Fuhr said the young people at John Paul II Collegiate have stepped up to support their fellow students. "They really want to step up and help get the message out to each other and to the community about how important it is to take care of each other and to take care of themselves," said Fuhr. "So in spite of all the darkness and sadness there's a lot of light." The Ministry of Education announced Monday there would be additional help: $10,000 would be spent for work with Kevin Cameron, the executive director of the Canadian Centre for Threat Assessment and Trauma Response. Cameron's work will take place within the Living Sky and Light of Christ school divisions. Brenda Vickers, the director of education at the Living Sky School Division, said the division has ramped up training for teachers to help them cope in situations where students are experiencing trauma. She agrees that people in the community are now speaking more openly about mental health, adding that there is a stronger "bond" between agencies. Vickers added that some support agencies now have a stronger visual presence at the school. Although the schools appear to be running as normal, Vickers believes that is probably not the case. "There are times when we are on high alert but I think what this has taught us is it's something you need to be ready to activate and it's education and work that has to continue all the time," said Vickers. "Outwardly, it looks like things are running relatively normally but I think probably, you know, it's not back to normal." She echoed Fuhr's comments that perhaps the community is living in a "new normal", where there is a heightened awareness about suicide and mental health. The Living Sky School Division has written to the provincial government to request more mental health resources. 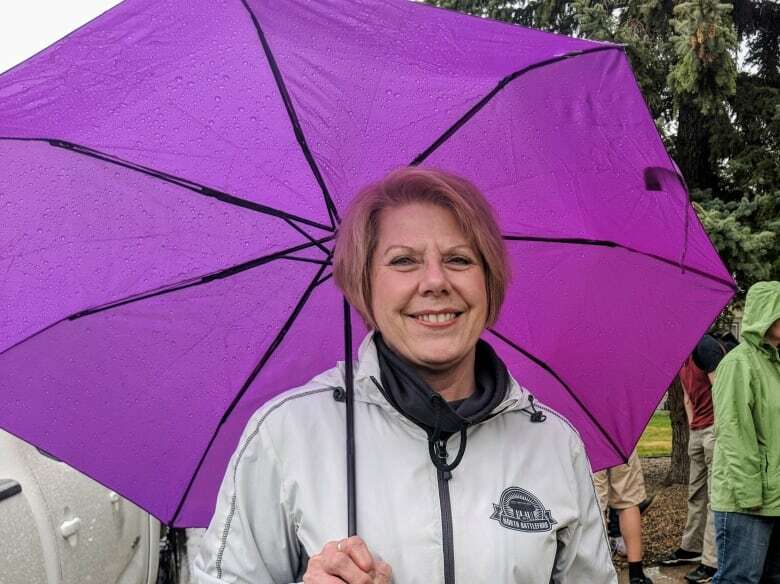 Sylvia Duhaime, who has lost two relatives to suicide in the past four years, participated in the walk for awareness last Tuesday. She said she has seen attitudes to mental health change dramatically over time but she believes this year, in particular, has forced people to be more open about mental health. "People have become really aware, with that large number of suicides happening in this community, and they want to do something about it," said Duhaime. "They want to meet with young people and try to talk about alternatives to suicide." Duhaime's grandson Cody was 19 when he took his own life during his second year of college in Illinois. Her brother-in-law, Robert Duhaime, died last year. She said their deaths had changed her as well. "I feel that I'm certainly a lot more open person and I really want to help and make other people aware that there's options," said Duhaime. "I think I've changed and become a lot more compassionate and I try to be more understanding with the mental health community in general." Charmaine Dosch is a former resident of the Saskatchewan Hospital for psychiatric patients. She said she can speak more freely about her own experiences now because she believes people are becoming more accepting of mental illness. "You're always gonna have people who don't understand and they don't look at you the same if they find out you have a mental illness," said Dosch. "But with Canadian Mental Health Association (CMHA) and Sask. Hospital and Battlefords Union Hospital, they give you a sense of security." Dosch hopes to see mental health nurses employed at North Battleford schools, and at schools in rural areas, to help young people seek help at a younger age. Having grown up in a small town about an hour's drive from Saskatoon, she did not have access to mental health supports in her community. "It would have helped a lot if I had somebody," said Dosch. "There was nothing in our school for that, we didn't have a guidance counsellor, we didn't have mental health nurses, we didn't have psychiatrists, you had to go to Saskatoon." Dosch has now been living on her own for a year and a half in a secure building that is also home to other people with mental illness. She believes better access to counselling would have helped her tackle her mental illness at a younger age. Jane Zielke de Montbrun is the executive director of the CMHA Battlefords branch. 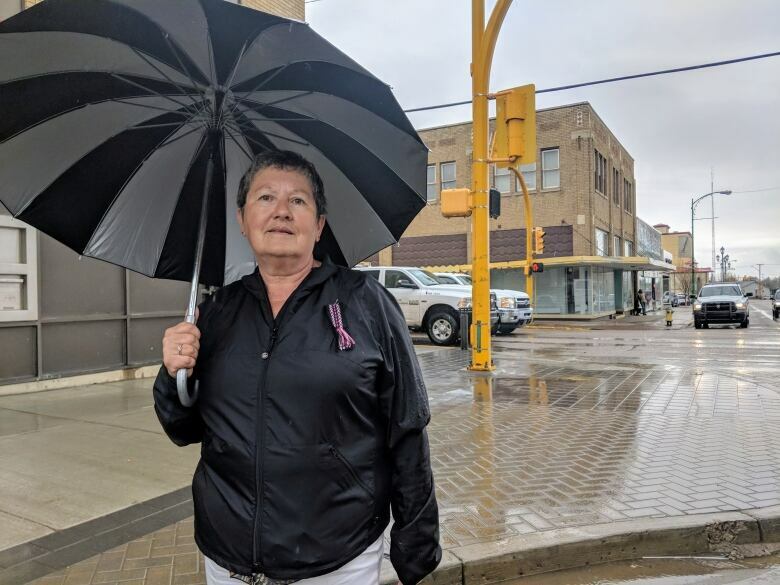 She said an event called Sick Not Weak in March was so well-supported by the North Battleford community that about $34,000 was raised for the CMHA. Zielke de Montbrun said those funds will go towards education and providing tools for people who are working directly with youth to help prevent a similar tragedy happening again. "I think the more we talk about it, the more we present ourselves as somebody that they can come and talk to and feel comfortable talking to," she said. "But most importantly to feel safe, that's a good thing." Mental health resources are available through the HealthLine at 811. The federal government set up a toll-free number for First Nations and Inuit people who are experiencing mental health issues: 1-855-242-3310.